Should you outsource your IT to the cloud? Start with a strategy and assess your own business needs. Is it the right direction for you? With the ability to slash costs and save time, the number of small firms turning to cloud is surging. This is based on good reasons as it's often more efficient to outsource some or all of your IT, but circumstances vary for individual companies and you should still do your research before making a decision. In-house IT is actually a better option for some small firms, especially those already using on-premises software efficiently. And some cloud contracts include hidden costs, so you need to assess your current infrastructure thoroughly before making a move. It's important to start with a strategy; only then can you work out which parts of IT, if any, you will outsource. Small businesses can cut costs by moving certain applications to the cloud. For example, there might be a cloud application that's very specific to what you do, such as customer relationship management, in which case you'll probably increase efficiency straight away by switching. Experts agree that moving to cloud allows small firms to punch above their weight, and it can give you capabilities you couldn't otherwise afford. A lot of in-house IT equipment is costly and ineffective; it often isn't realistic for a small firm to purchase big systems let alone manage their operation. Using a cloud provider, you can bypass upfront hardware costs as well as cutting the expense of having systems installed. With cloud, you usually pay a monthly fee, often per user, so you can keep on top of your costs and gradually build your services. At the same time, cloud storage services allow employees to work remotely and your provider handles all your IT infrastructure needs as your business grows. Meanwhile, those who choose to go in-house must factor in costs such as maintenance, electricity and cooling as well as considering how to support remote employees. Security used to be a worry with cloud, but things have evolved immensely and most providers are entirely safe. In some cases, it'll actually be worth having your IT security handled by a cloud provider, as it allows small firms to enjoy the same level of service as their larger counterparts, provided they choose the right company. A cloud security mechanism is also quick to install, taking minutes rather than days or months, which removes a lot of strain from any in-house IT staff. If you are still cautious, the ability to try before you buy with most cloud services is a huge benefit. It'll also help you to get a feel for your chosen provider without getting locked into a long term contract. But be warned; cloud is not always cheaper than keeping things in-house. You must look at the total cost of your cloud subscription over a year and compare it to your bill for on-premise. If your on-premise software is working fine and you have a strong IT head, then you'll be free of any immediate need for capital investment and it won't be worth paying for the cloud service. 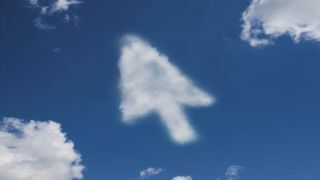 But different types of cloud can provide benefits for many smaller businesses, especially if they have a specific need. If you do your research and choose the right provider, you can cut costs as well as save the stress of dealing with your own equipment.